Get a custom home office that works just as hard as you do. Eliminate entryway clutter with a custom mudroom design. 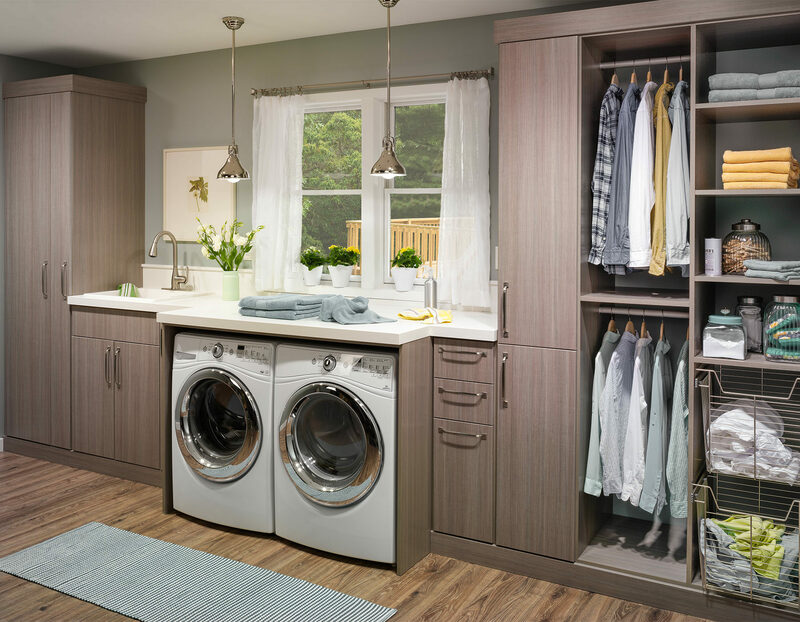 A custom laundry room design will take the chore out of doing the wash. 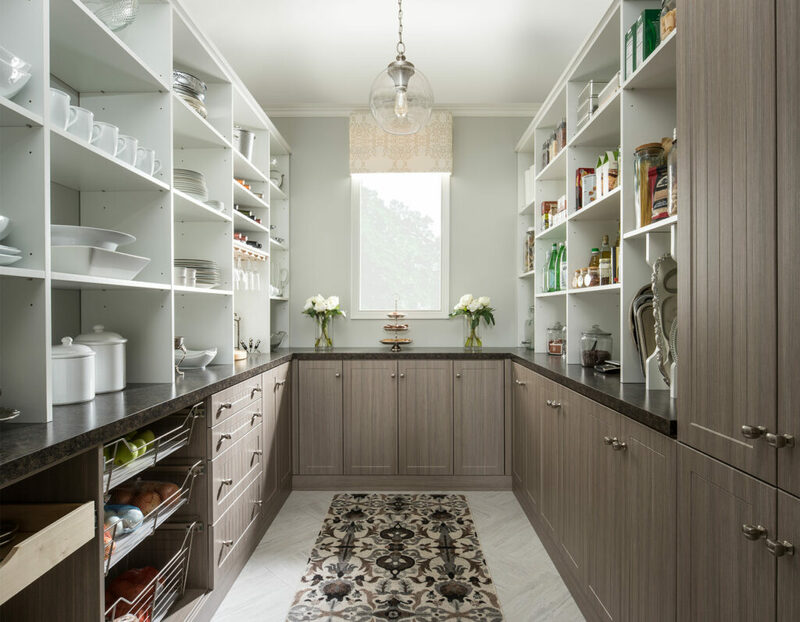 Enhance kitchen storage with a custom pantry design. 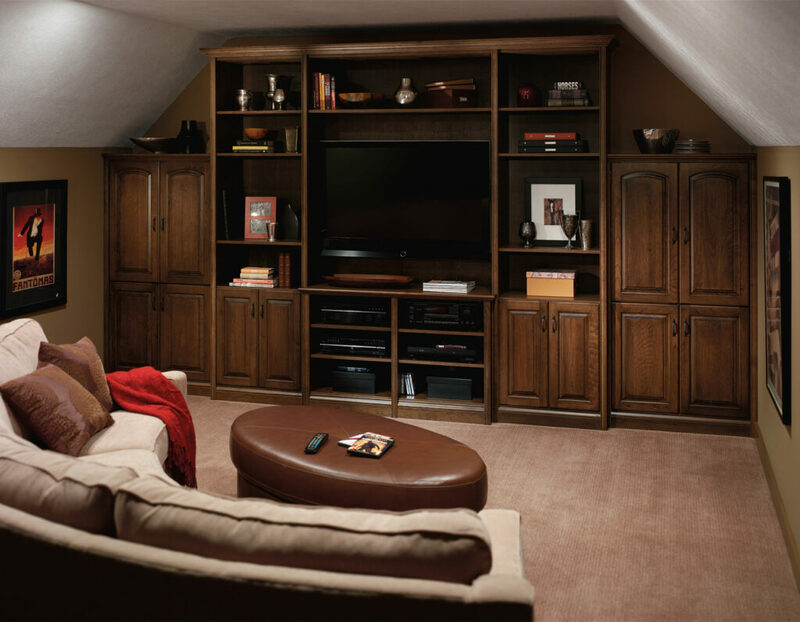 A built-in entertainment center will turn your den into a beautiful custom media room. Let your creativity soar in a craft room. Optimize your workplace for efficiency and productivity. It doesn’t matter whether the office is a converted bedroom or designated space in the house. Well-designed home office cabinets improve the functionality of your space. 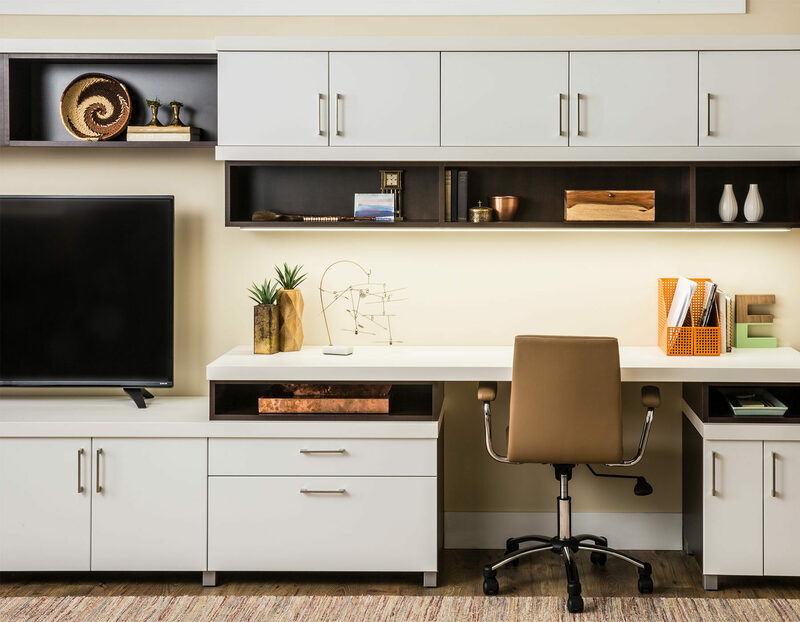 We can help you create a home office that is the hub of your Colorado home. 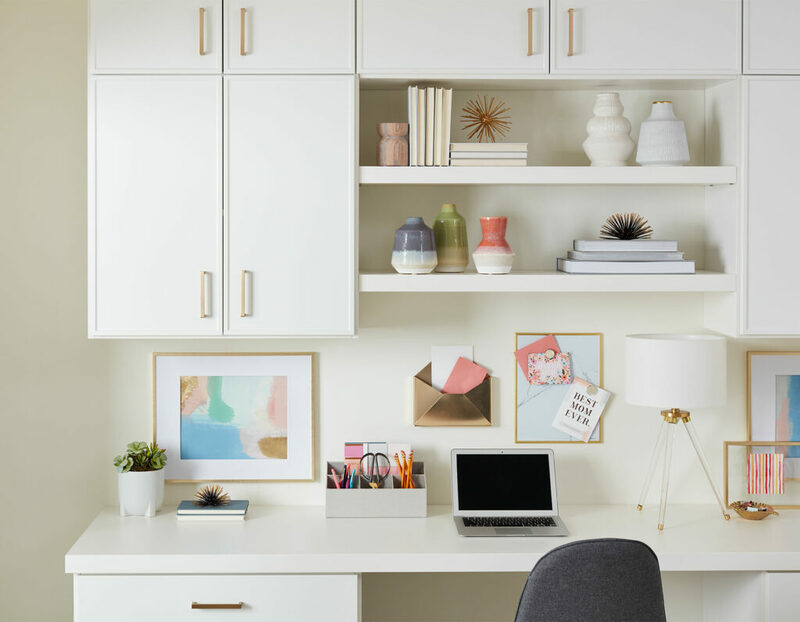 A tailored office desk, flip-up storage cabinets, wall organizers, filing systems, and utility management help keep everything in its place and the clutter at bay, making you more efficient while you work. How often does your entryway look like a chaotic disaster area? Instead, experience a warm welcome home by installing custom cabinets in your mudroom. 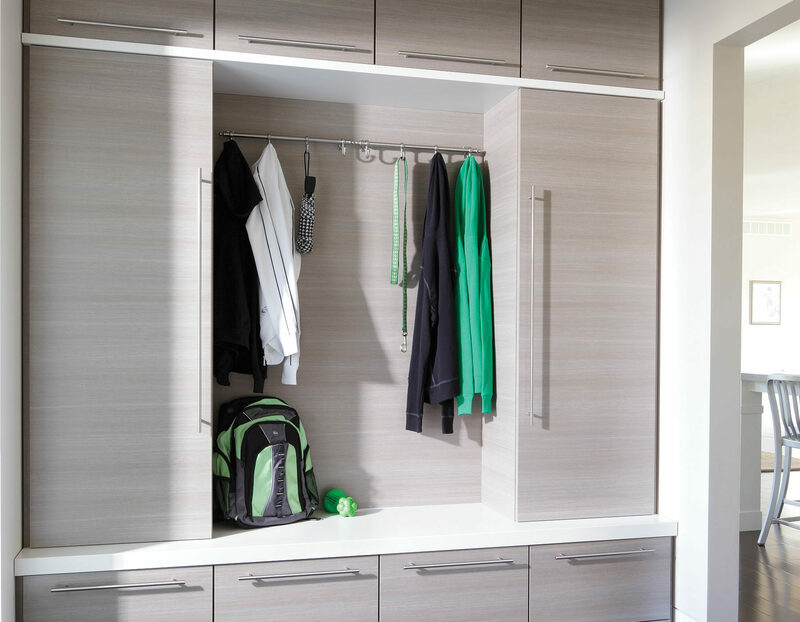 Open shelving keeps your shoes off the floor, wall hooks keep your jackets and backpacks in order, and wall-to-wall custom cabinets keep your other items hidden and organized. A well-designed mudroom can turn your clutter-filled entryway into an area that welcomes visitors to your Colorado home and gives your home the best first impression. A custom laundry organization system complete with laundry room cabinets will help you turn a tedious task into one you can do very efficiently. Full-extending drawers hidden behind doors keep your laundry soap and other products stashed away neatly. An ironing board folds out, then hides behind a sleek door when not in use. 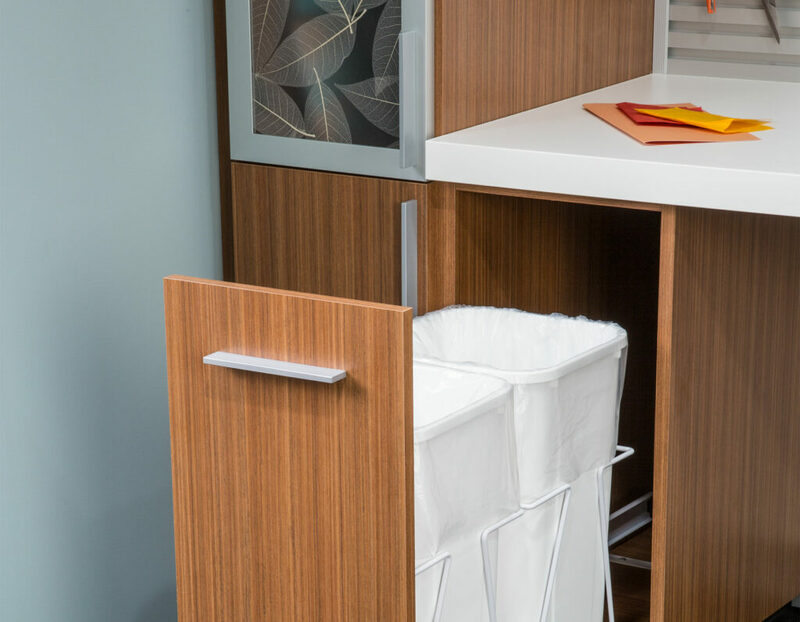 A hidden hamper keeps your dirty laundry discretely tucked away. All these features help streamline the laundry process so it won’t seem like such a chore. 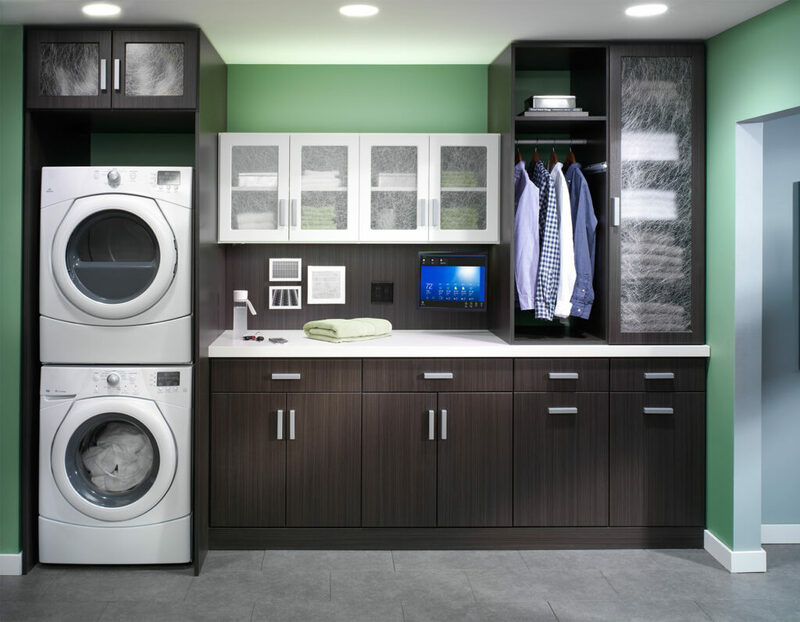 Your custom laundry room is specifically designed with you and your family in mind. 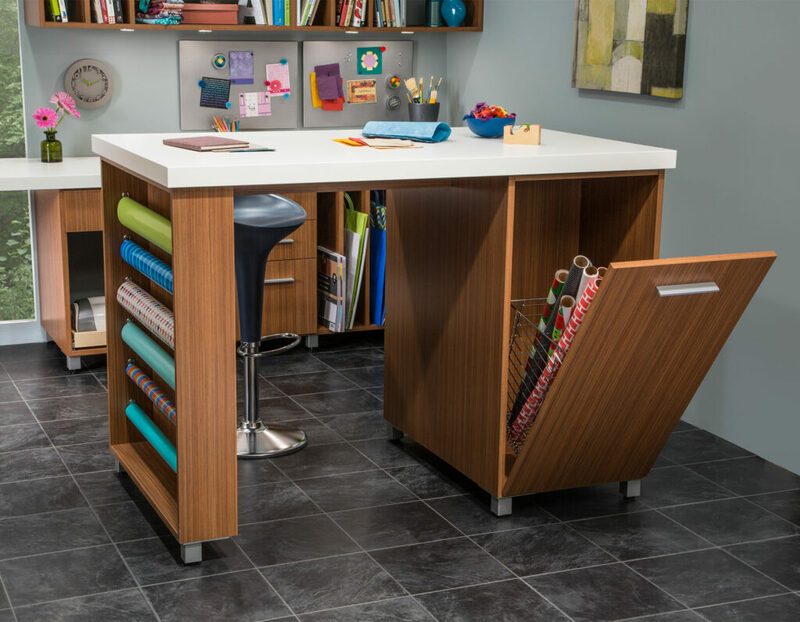 With the help of baskets, cabinets, and valet rods, this space will handle any load. Are you bemoaning the lack of storage space in your kitchen? 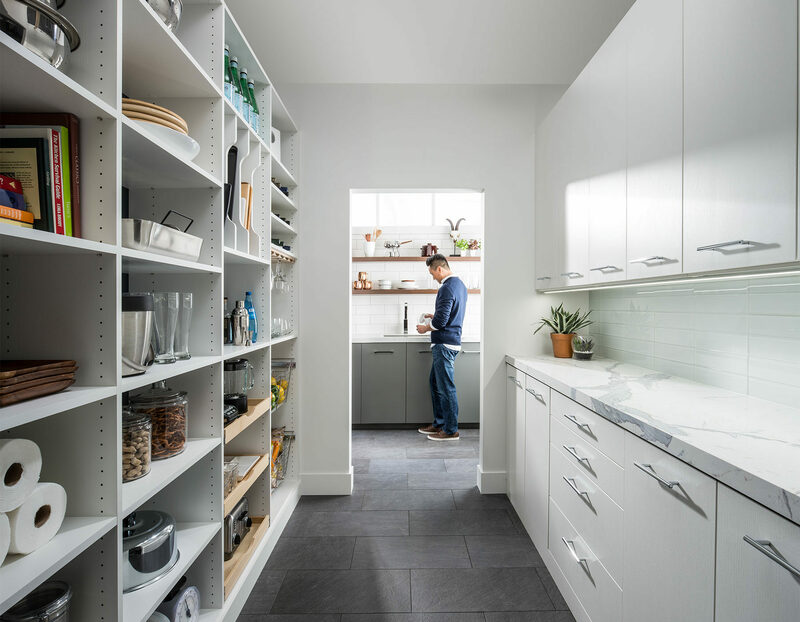 If you are, a custom pantry can give you storage space to hide appliances and other bulky items. Pantry cabinets will store and organize holiday dishes and linens, cookbooks, baking supplies or staples. Shelves pull out to give you access to a pasta maker, bread maker, toaster or blender. Pull-out drawers can be used to store canned foods and staples. 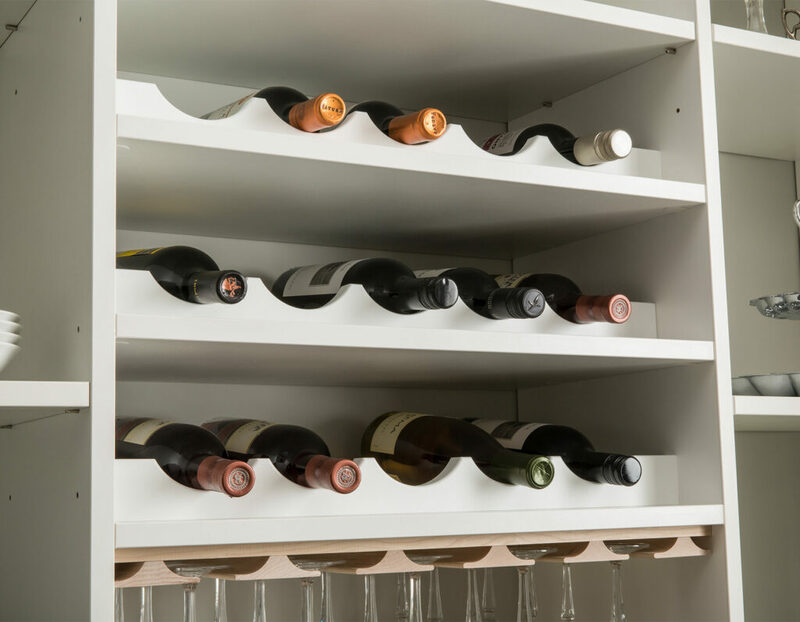 A custom pantry design can incorporate a wine rack, conveniently located inside your pantry. Choose the pantry designs that incorporate style, finishes, and hardware that meet your needs and budget. A built-in entertainment center lets you have a well-organized home theater that’s as inviting as it is attractive. A built-in media center turns a bonus room or spare bedroom into a deluxe home media center or theater. Added features like crown molding, wood veneer and base trim gives a custom media center a traditional look. Choose a modern two-tone design for a more contemporary feel. Your customized entertainment center stores your video and gaming devices, cable box, or DVR. By customizing your entertainment cabinetry, you have the freedom to choose from styles that suit your taste, personal needs, and the style of the rest of your furniture. A Colorado Space Solutions custom craft room will give you the freedom to pursue your hobbies at your own pace. We can help you get the storage you need for all your supplies. We’ll also make sure you have plenty of workspace. 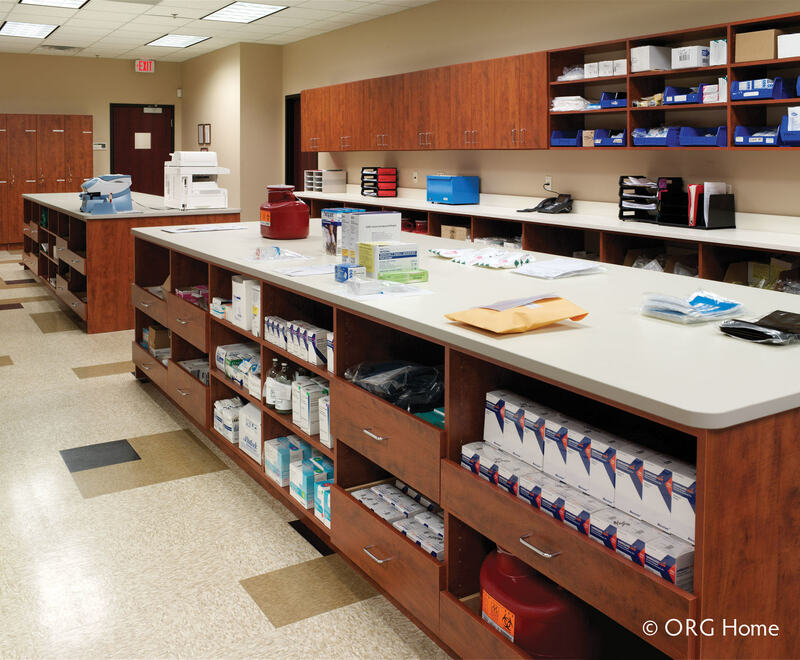 We provide you with a large workspace, full-extending drawers, the flexibility of adjustable shelves, and durable cabinets so you can stash things away when they aren’t in use. Store all of your art and craft supplies without worrying about having enough space to keep them. A custom craft room is an ideal place to introduce kids to art and other creative projects. We design it so you have exactly what you need. It’s an excellent way to introduce your kids to art, and to let them channel their creativity. A well-organized workplace encourages productivity. We can create a design to improve the functionality of your space. 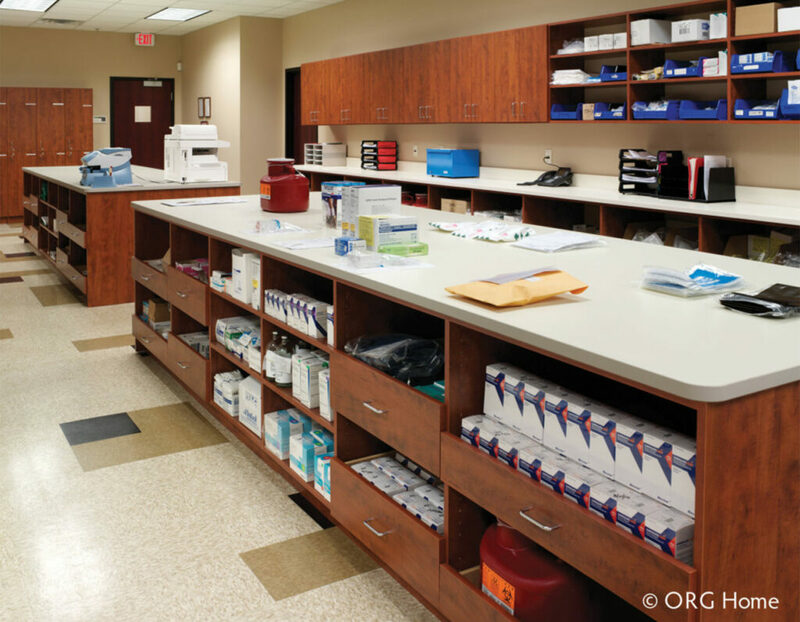 Cabinets ensure that important supplies are accessible to all employees. File cabinets and drawers let you keep your important records and documents in order. 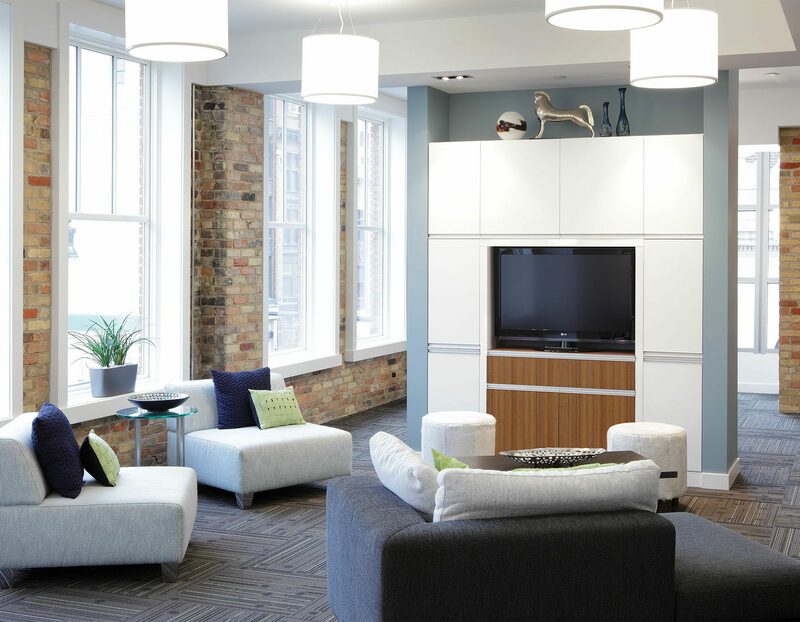 Help your workers enjoy their break and mealtime in a place that rejuvenates them. A customized common or break area can include space for a microwave, counter space for food prep, a sink for cleanup, and a refrigerator to store your lunch or snack in until you’re ready to eat it. Make sure you have an area for printing and copying. Stock it with paper, and printer supplies. Your workers should be able to find what they need because it’s neatly stashed in its place. One of our experienced designers will help you find the perfect custom solutions for your home.